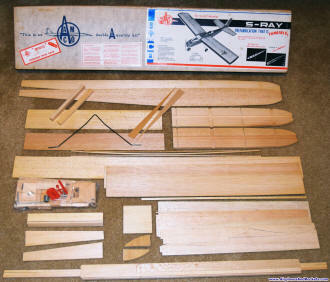 The Andrews Aircraft Model Company (AAMCo) produced a radio control airplane, the S-Ray, that was my first successful RC model. A neighborhood man had given me an old beater he wasn't using anymore, but I never was able to get it flying. An advertisement from a 1964 edition of RC Modeler is shown to the left. 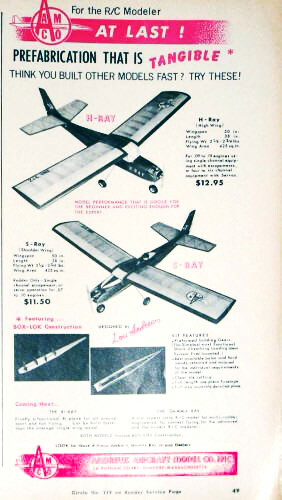 It includes both the S-Ray (shoulder wing) and the H-Ray (high wing). 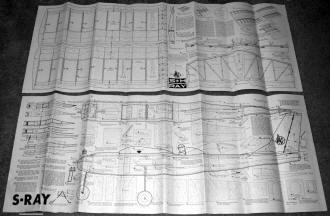 I do not even remember what engine I had in it - most likely something really cheap that ran poorly. I probably also still had the OS Digital 3-channel radio control system in it, which would explain why I can remember running after it with the transmitter held high above my head trying to regain control after it ran out of range. My S-Ray spent a night in a corn field out at the original PGRC (Prince Georges Radio Control) club in southern Maryland, as a result of flying out of range with it (range with that OS digital system was about 600 feet under ideal conditions). To the right is a scan of an advertisement for the OS Digital 3-channel radio control system that I bought second-hand from a man down the street from where I lived as a teenager. I paid him $100 for it sometime around 1974 or so. That is the equivalent of $482 in 2015 dollars according to the BLS's Inflation Calculator. Read the AMA's published biography of Louis J. Andrews. 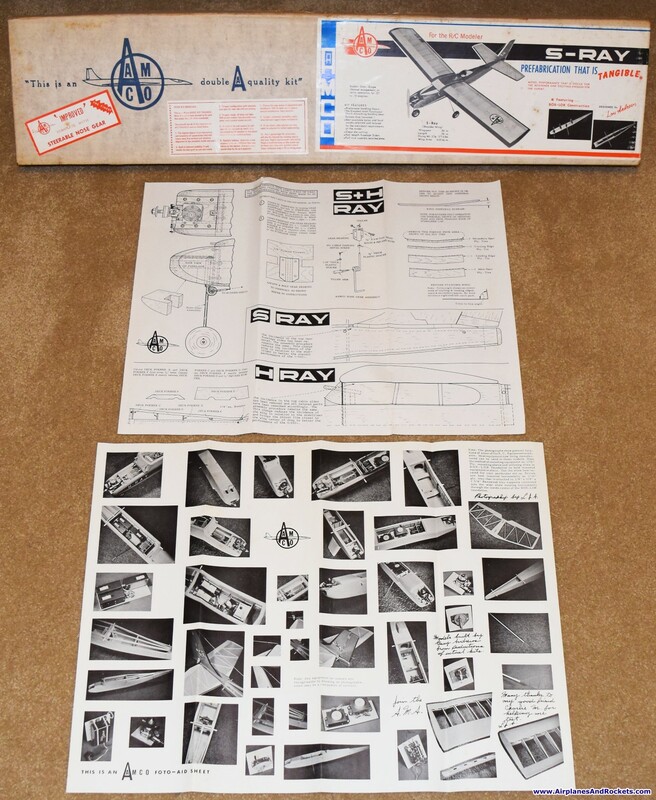 After years of watching eBay for an S-Ray kit that would sell within my budgetary range, I finally won an auction a couple months ago. 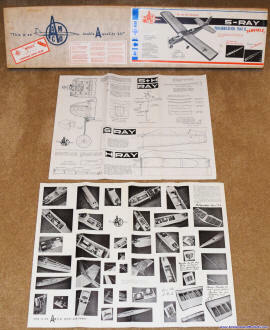 The kit is in excellent condition and appears to include all the original material. 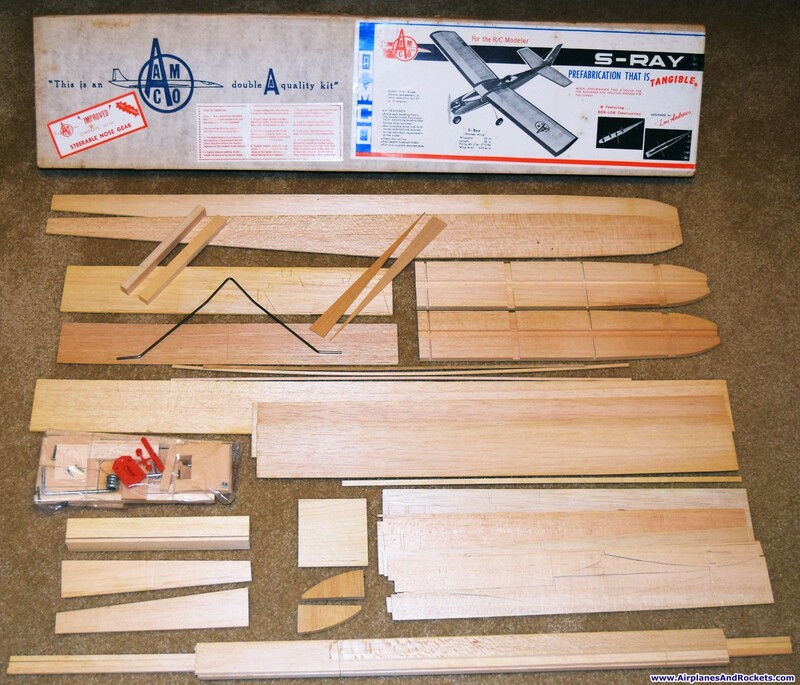 My original kit was purchased at Kay Cee drug store in District Heights, Maryland, where lawyer/aeromodeler John Something-or-other ran a hobby shop in one corner of the store. If anyone out there knew John and/or has any photos of his hobby shop, please contact me. 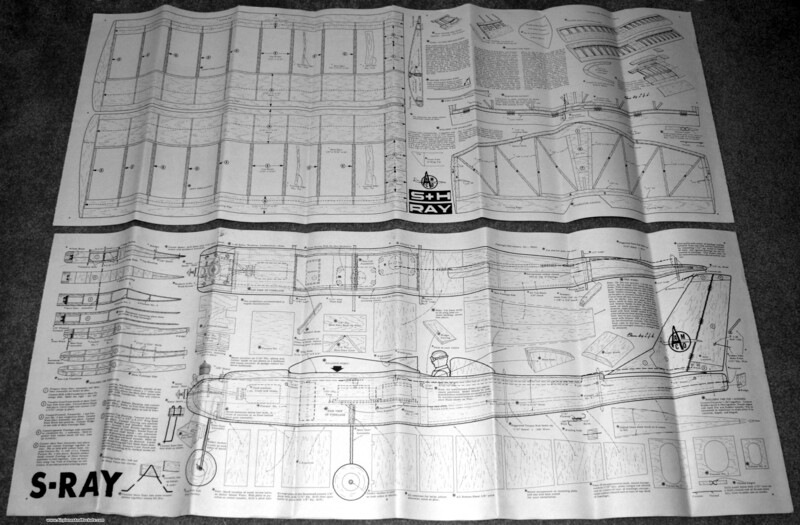 Wingspan = 50", Length = 38", Flying Weight = 2-1/4 to 2-1/2 lbs., Wing Area = 435 sq.in.